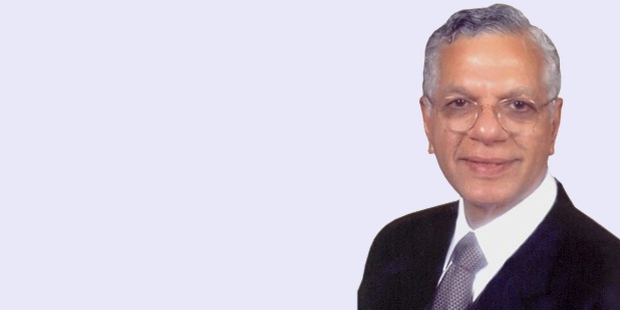 Chandru Raheja is an Indian business magnate and the founder of K Raheja Corporation and the chairman of the same. It was Chandru Raheja who transformed his family's local property business to the above mentioned real-estate corporation. Raheja Corporations has built various IT parks, offices and malls under the leadership of Chandru Raheja. To this day, he owns 75 stores of Shoppers Stop all over Mumbai including 93 chains of Crossword book stores. He is on the Forbes List of billionaires from India and is worth $2.2 billion dollars. There is not much information about the early of Chandru Raheja. He was born in 1941 to L S Raheja in Mumbai, Maharashtra. He has four brothers. He belonged to a business oriented family which explains his grasp over the profession. Raheja has double masters and double LLB degrees. His first masters and LLB degrees are from the University of Mumbai, while his second masters and LLB degrees are from the Harvard Business School. It was in 1996 when he split from his brothers and independently formed K Raheja Corporations. It was after the launch of his own real-estate company that he established Mindspace. Mindspace was a solo enterprise that comprises malls, IT parks and offices. Since 2006, he is also the director of Ishaan Real Estate Plc. Mr. Raheja is also the Managing Director at Charlet Hotels Ltd. He has been one of the keen developers of the Shoppers Stop branches throughout Mumbai and he is also a member of the International Council of Shopping Centres. He is the Director of the following Real Estate business establishments: Raghukool Estate Development Private Ltd., Casa Mania Properties Private Ltd., Capstan Trading Private Ltd.
Raheja collaborated with Servcorp, an Australian firm in the recent years. This collaboration is mainly directed towards construction of serviced offices. His wide array of professions is not limited to the Real Estate business only. From 19th February, 2003 to 2008 he served as an Independent Director of the II&fs Investsmart Ltd.
K Raheja Corp Group is also involved in social activities with various institutes such as S.L.Raheja Hospital and Diabetic Research Centre, L.S. Raheja Technical School and L.S. Raheja School of Arts and Architecture. Chandru Raheja keeps up to his social responsibilities of keeping the environment clean and green via donations, philanthropy and charity. Raheja is the first entrepreneur to introduce the concept of self-sustaining township that includes offices, complexes, IT sectors, playgrounds, hotels and malls. He initiated the concept of International Standard Hotels in the country that caters to the needs and leisure of his Indian and international business travellers. Therefore, he ushered in a new mode of hospitality in the realm of business enterprises as a strategy to gain investments. 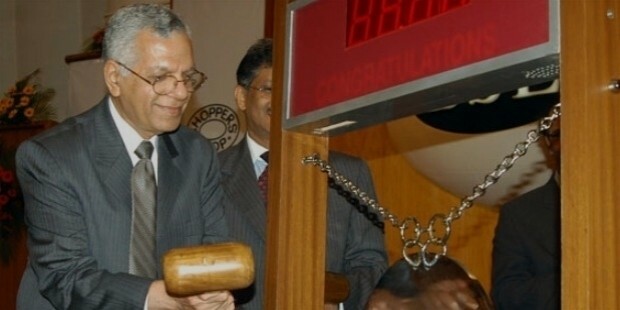 Last but not the least Raheja spearheaded the retail business in India by introducing the 'Shoppers Stop' retail chain. Chandru Raheja is married to Jyoti C. Raheja and has two sons, Neel Raheja and Ravi Raheja. In 2013, Chandru Raheja was awarded the Hall of Fame Award by the HIFI (Hotel Investment Forum, India). His retail chain of Shoppers Stop was awarded the Star Retailers Award in 2010 and has bagged various awards from various forums and guilds. As mentioned above he is a Forbes billionaire of net worth $2.2 billion.